Tonight I noticed in my recent post about the up and coming beer industry in the Spokane area I accidently left off Bi-Plane Brewing Co. which opened this last year in Post Falls at 4082 E. Primrose Lane in the same strip mall as Subway and Starbucks and facing Hwy 41.Bi-Plane seems to be enjoying some success with their product that includes 5 craft beer produced in house and 3 dollar pints on Sunday. Part of why I started doing this blog was to point out to everyone who is so down on the Inland Northwest less then ideal economy that there is still new jobs being created and new business opening, so it always is a sad moment to write of a recently closed business but this one seems to be a bit sader then usual as Wednesday's Rathdrum Star was the last issue for the small weekly newspaper that has been in print for a little more then 7 years.The paper had a circulation of 10,100 and was a fun read because it feature mostly local stories and was good source of info for the Rathdrum area however due to increaseing costs to mail the paper and few advertisers willing to purchance ad space in today's economy Publisher Tom Burnett decided now was good time to retire a close the Rathdrum Star.All good things must come to end I suppose but The Rathdrum Star will be missed. Your also welcome to post to the Facebook page about your event or business.And thank you all for reading this,Have a great weekend and a Happy New Year. Ciao Mambo Restaurant in the Hayden Creek shopping center near the intersection of Prairie Ave and Government Way has unfortunately closed but to make up for the closure of Ciao Mambo the owning party Montana based Glacier Resturant Group will expand their Mackenzie River Pizza Co. restaurant in Coeur d Alene in 2012,adding a pub and grill to the existing gourmet pizza resturant. While the owner boasts many years experience selling Satellite TV via Dish Network his business in Post Falls is new,Full Circle Satellite opened recently in Post Falls at 606 E. Seltice Way near Walgreens . Advanced Aesthetics,MD is opening a new office in Downtown Spokane located at 522 W. Riverside Suite 202. Coeur d Alene's Black Sheep Sporting Goods and Timberline which is by the same owner and in Silver Lake Mall have joined forces to open a new clearance store in Coeur d Alene at 7419 N Government Way which Coeur d Alene residents may remember as the former Complete Suite Furniture which moved to along Hwy 95.The Black Sheep store offers many great discounts and will most likely be similar to a clearance store Black Sheep had operated in Sandpoint until Big R took over their lease there. The El Chiludo Taco Truck has a new home in Coeur d Alene in the parking lot of the Appleway Car Wash along Appleway and across from Lowe's. The Robert Crick Law Firm,PLLC has moved into Downtown Spokane at the Paulsen Center.The office is in 421 W. Riverside Suite 1555. Spokane Fireplace and Patio has closed and had been in Spokane at 27 W. Boone Ave.
Kokanee Coffee is a brand new coffee shop that opened recently in Sandpoint at 509 N 5th Ave. Suite A.
Dave Clark Realty in Coeur d Alene has gone out of business. The Bonneville Power Administration has announced they plan to upgrade and put in a new 500 volt underground transmitting line from Eastern Washington's Grand Coulee Dam during 2012 and beginning as soon as February.During the construction the nearby highway and park may need to be closed for short periods of time but the dam's famous laser light show in the evening hours will not be interupted.The news of the project is great for jobs because the BPA estimates it will create dozens of construction jobs for a part of Washington that could use the good paying jobs. Landers Insurance in Coeur d Alene has moved to 816 E Sherman Ave.
Davinci Teeth Whitening has opened recently in Coeur d Alene's Silver Lake Mall. Hill at 2718 E. 57th in Regal Place. Spice Trader Mercantile has opened in Spokane Valley at the same location as Plantland at 15614 E Sprague Ave. The store has 1,000 sq. feet of Spices,Oils and Northwest Wines and Microbrews. A new Senior Independent Suites offering Senior citizen housing at a affordable rate is now open in Spokane Valley on S. Raymond between 9th and 10th. Triple S Surplus and Survival has opened at 9422 N Goverment Way in Hayden. Rasmussen Sports Training has leased 5,900 sq. feet at 1116 E. Sherman in Coeur d Alene with plans to move their from 7791 N Aqua Cir. Copper Hills Apartments are almost done off of 44th Ave behind Shopko on the South Hill. Auntie Linda's Quilt Shop is closing,they had been located at 8948 E. Scout Trail in Athol. Mead Pawn is becoming The Mead Thrift Store,They are located at 12112 N. Market in Mead. Northwest Blinds is a new blind business open in Hayden at 10183 N Aero Dr. Suite 5 Hayden. The Port of Lewiston has released an audit that shows the The Port has netted approx. 500,000 dollars from Imperial Oil's Megaload's during the fiscal year that ended June 30th. The report also shows 400,000 dollars worth of expenses related to the Megaloads.The loads are owned by Imperial Oil coming inland to Lewiston from Korea and then shipped by truck to The Kearl Oil Sands Project in Alberta,Canada.The loads head out of Lewiston on US 12 towards Lolo Pass and north to Coeur d Alene via US 95 thru Moscow.Some megaloads may be coming thru Spokane soon too as the City of Spokane has received a request for megaloads coming thru via I-90.The Imperial Oil megaloads have been in the news so much lately due to the possible environmental disasters.People for the megasloads argue that the economy of the Inland Northwest needs the loads and the large crews that come with them spending money in the cities they enter. Hecla Mining buys remaining 30% of San Juan Silver Project. Coeur d Alene based Hecla Mining has purchased the remaining 30% of the San Juan Silver Project in Colorado's silver districts,The Creede Silver District.The San Juan has over 20 miles of veins and has produced of 37 million ounces of silver .The Hecla deal also includes all buildings on property as well as the Mine and Mine ramp.Hecla who trades as HL has seen gains on the market since the announcement of the sale. A Spokane landmark owned by Washington State University,The Jensen Byrd Building in Spokane's University District has been sold to Campus Advantage a Austin,Tx. based firm that manages student housing units near universities and colleges thru-out the nation.Currently Campus Advantage has properties in 21 states.The project the plan for the site will be student housing with some ground floor retail space,the project is 125 units with 425 beds and shared bathrooms and common spaces similar to dorms.Campus Advantage purchased the Jensen-Byrd from Washington State University for 2.85 Million Dollars which falls with-in fair market value for the property.Now for the the bad news,The building which was built in 1909 will be torn down and re-placed with a new structure to be built beginning in the summer of 2012 and ready for occupancy in the fall of 2013,the new building to replace the Jensen-Byrd will be a 5 story stucture.While the project is welcome in terms of jobs and new housing in Downtown Spokane it is sad a landmark like the Jensen-Byrd could not be saved.Washington State University had attempted to sell the building to Spokane Developer Ron Wells some time back but that deal fell thru in the end. Atlas Staffing is a staffing firm that opened recently in Spokane Valley at 9119 E. Boone Suite B.
in between the Hayden Wal-Mart at Prairie Ave intersection. Rokko's Teriaki and BBQ is opening soon at 506 1st Ave in Cheney. Jobs sites have started getting postings for a new Camping World store opening in Liberty Lake at 19651 E. Cataldo Ave in Liberty Lake,Camping World is mostly an RV dealership but also sells accessories and does RV service.The site Camping World will go into was the Mastercraft Dealership,Washington Water Sports that went out of business. The Coeur d Alene Perkins Resturant on Appleway near Hwy 95 has now closed. Marcella's Bridal in Downtown Spokane is expanding by adding 1,500 sq. feet to their site at 304 W 2nd Ave.
New Jersey Mining company is now most of the way complete on their mill expansion which is a joint venture between New Jersey Mining and United Silver.The mill treats ore from the Golden Chest Mine and the Crescent Mine.Currently the mill can handle 100 tons of ore a day but with the expansion the mill will handle 400 tons of ore.They will also re-build the crushing plant and add a ball mill.The expansion worth 2.5 million dollars will be complete by the end of 2011 according the New Jersey Mining but will not be operating at full capacity till sometime in the middle of 2012. Being positioned close to the Walla Walla valley and arid Columbia River Valley has made Spokane's wines a hit and made wine a growing sector of the Spokane economy.But Spokane's beers cannot be ignored,new breweries are poping up and fast.I'm sure part of the beer craze has been to due with the state of the economy as the poorer the people get the more beer and the like are consumed but this is one spot where I hope the economy stays bad for a little while longer as Spokane's wineries are great but it's brewhouses are deserving of their day too.Spokane has it's long time brewery in Northern Lights Brewery at 1003 E Trent Ave. near Gonzaga and in the Riverwalk shopping center,Their products are also sold in many local grocery stores and also The Coeur d Alene Brewing Company which had been in Coeur d Alene till their landlord would not renew their lease in favor of his restaurant,Seasons of Coeur d Alene which ended up taking the brewery's former home.Today Coeur d Alene's beers are harder to find as they are made and sold from The Steam Plant Grill Restaurant in Downtown Spokane.But Spokane has been buzzing with new beers,even one winery is getting in on the beer buzz(pun intended) as Arbor Crest Winery plans to make 2 microbrews at their iconic Winery next year overlooking Spokane Valley.Other beer makers in Spokane that have begun recently are..Golden Hills Brewery located at 12921 W 17th in Airway Heights,They have no walk-in location or taproom that I know of but can be found in many of Spokane's bars including The Q at Northern Quest Casino,I've only had one of Golden Hills brews but on a personal level I would recommend.Another Brewery is Budge Bros. Brewery at 2018 E. Riverside Suite 1 in the International District(formerly the East Central neighborhood ) they do have a walk-in site and offer a beer called Spokamber Ale among others,I have yet to find their beers in a store but are another new business that should be in Spokane for awhile.And then there is the reason why i'm ranting on about local beer today because this is the opening weekend for Spokane Valley's new 12 String Brewing Co. located at 11616 E Montgomery Ave Suite 26 in Spokane Valley they do have a taproom and several bars in Spokane are supposed to be selling their beers. But all this talk of Spokane's many new breweries makes one remember that beer is still growing in North Idaho as well,a recent Coeur d Alene Press article pointed out the success of Sandpoint's Laughing Dog Brewery at 1109 Fontaine Blvd in Ponderay,Their beers seem to be everywhere now and they have only been open since 2005 proving the beer is a hot industry.Also in North Idaho will be Selkirk Abbey Brewing at 6180 E. Seltice Way,I know little of them but their Twitter feed does say they will have a taproom.Wallace Brewing in Wallace has enjoyed growth as well and some of there products now appear in bottles at some grocery stores in North Idaho and North Idaho Mountain Brewery is also new and in Wallace at 108 Nine Mile Rd. They are within The City Limits Pub. Beer is big business for Spokane and the region and hopfully all these new businesses will help put Spokane even more on the map. Did you know several common place juice brands,such as Citrus Sunshine Orange Juice and Washington Natural Apple Juice are in face packaged and are products of a company in Spokane.The company is Joanna Beverage Company and their facility is located at 5625 Thorpe Rd. on the West Plains near Spokane International Airport. Tonight is the first night Post Falls's Kc's Breakfast Club resturant is open for dinner as well as their usual breakfast and lunch,They are now open 5-9pm on friday and saturday for dinner as offer a 13.95 prime rib special. Needful Things is a new shop selling consigned furniture,decor and more items from their store at 1802 E Sprague Ave and will be open on Sat. Dec. 10th and the 9am. Offering photography and video services for all occations is New Avenue Studios in the Treaty Rock Center in Post Falls on Seltice near Blue Dog Rv and the intersection of Chase Rd. They have been open for a couple months now but they are still new and in my own independent opinion have the best cupcakes in the Inland Northwest,Love at First Bite sells many different kinds of cupcakes with flavors changing daily.They are located at 11305 E. Sprague in Spokane Valley near Sprague and Bowdish. 3 very experienced have merged together to form North Idaho Dental Group in a 3,000 sq. foot site at 2165 N. Merritt Creek Lp in Coeur d Alene. The newest location of Mackenzie River Pizza Company opened recently at 2910 E. 57th Ave by the Albertson's at 57th and Regal. Offering items and pieces of art from local artisians is The Heart of Spokane which just opened in early dec. at 2910 N Monroe St in Spokane. Treasure Trove is a brand new business selling apparel, accessories , home decor and gifts they are located at 12415 E. 1st Ave. in Spokane Valley. Boardwalk Boutique which has been in Coeur d Alene at Riverstone for a while now has expanded to a second store in Downtown Coeur d Alene inside the Resort Plaza Shops in the former Cisco's II Antique Store which consoltated with their store on 4th in Coeur d Alene. A new store in Northtown Mall in North Spokane is Fuego.They sell a bit of everything like clothes,gifts and novlities from there store at the west entry by The Mustard Seed. A new Sprint retail store opened recently by the new Williams Seafood and Wines on Ruby St and Foothills in Spokane. Selling signs and other man cave decorations is the job of what I believe is a seasonal store in Northtown Mall called,Man Cave. Post Falls's famous resturant,The White House Grill which also owns The West Wing Resturant in Spokane on the south hill has parked their food truck which was a famous staple selling White House's garlic heavy dishes from various events and at Greenbluff,at the corner of Division and Dalke(6020 N Division) in a vacant parking lot and are calling it The Garlic Mobile.The menu is limited but staff says as business grows so will the menu. This weekend is the grand opening of Wendle Ford's 3rd showroom at The Y in North Spokane.The new showroom is to sell the Infinity car line. Lovers,a romance chain has opened it's newest store in Spokane Valley at 13917 E. Sprague. Perkins at Division and Central Ave. has closed after 35 years in business. Bozzi Media is canceling printing it's Spokane Family Magazine but is expanding by begining to print a new magazine called Spokane CDA Woman Magazine ,which will be geared towards local women. Canfield Family Medicine has moved into their new home in Coeur d Alene at 1110 Park Pl suite 202 off of Lakewood. Almost all malls in the area have their seasonal Kopter Krazy remote control helicopter kiosk's open. Preliminary work is now underway for a new elementary school in Cheney at 6323 S Holley Rd. Selling scrapbook supplies and and other albums is the job of new business Accent Albums at 7791 Aqua Cir. in Coeur d Alene. Home Instead Senior Care is now at 500 N. Government Way suite 500 in Coeur d Alene. Laser Dentistry of Coeur d Alene is a new dentist's office is Coeur d Alene near Kootenai Medical Center on Ironwood. D&B Farm and Home which had locations in Coeur d Alene and Lewiston has been sold and has already been converted to it's new owner Big R Stores.The Coeur d Alene store is near the corner of Kathleen Ave. and Government Way.Because the 2 companies are so similar the staff and inventory remain the same. Vitality Health and Fitness is now open in Coeur d Alene selling fitness mechines,etc..Their location is near the corner of Hwy 95 and Hanley with their address and entry off of Sunshine St.
Atlas Electric is moving it's sales department and some manufacturing into a new building is Spokane Valley at the corner of Havana and Boone. A new T-Mobile retail store is open in North Spokane at 8018 N Division by Pawn 1 and the northside Hauppin's store. I'm not sure when but the Appleway Laudromat on Appleway just down from the Hwy 95 intersection appears to have closed as they now have for lease signs in the windows. Mellissa's Nails is a new nail salon open at 1921 NW Blvd. in Spokane. Sports World Training Center is a new place to train for sports and use batting cages,etc. They are in Post Falls behind Kids World day care along Seltice near I-90/Hwy 41 interchange. Truckland is back is what all the ad's say for the re-opened Truckland truck dealership at 7004 E Sprague Ave. in Spokane Valley.They are a part of the Discovery Dealership team from Moses Lake. Greenacres Motors has eather moved back to Post Falls or opened a second store in Post Falls as they now have a lot in State Line by the El Patio Bar and Grill on Seltice Way. United Tile has opened a new showroom in Spokane at 622 E. 2nd Ave. The Post Falls Caruso's sandwhich shop has closed siteing declining sales,The other Caruso's locations remain open. Mullan House Bed and Breakfast is now open in Mullan,Id. near Lookout Pass,They offer 6 guest rooms. And last by not least I love it when I find a new business so I was happy to find Marsells Cakes and Desserts open at 920 N Division in Spokane but apartently I don't always pay the closest attention as a quick facebook search shows they opened back at the end of June.They sell cakes,cupcake,cookies,brownies and espresso.And it's business like Marsells Cakes and Desserts that I ask of you if you see a new business please let me know so I can share with my readers(both of you:) ) my e-mail is inlandbusiness@yahoo.com or search for the blog name on Facebook.Thanks! 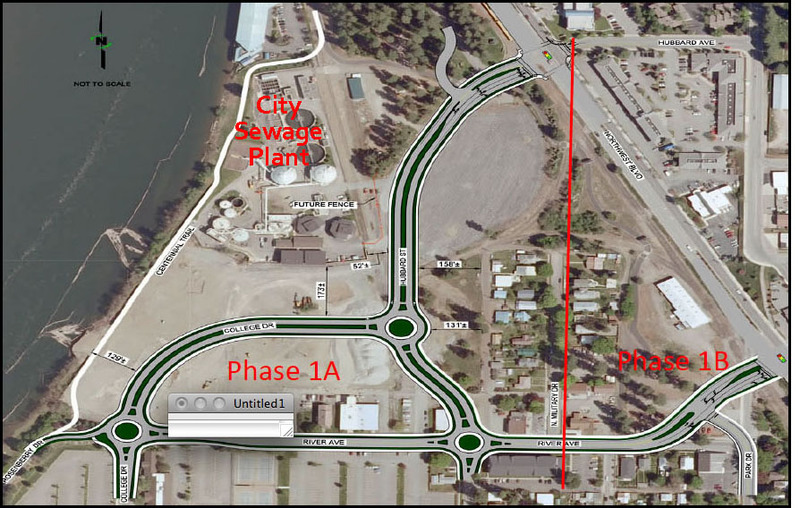 Sandpoint's Bonner General Hospital is planning to expand onto it's new downtown lot that was partly the site of Taylor and Sons Chevy dealership before they moved to a site in Ponderay.The all new facility will be 40,000 sq. feet and 2 stories,The hospital's marketing,community development,home health,patient pre-registration,hospice care,education,accounting,business and out patient rehab office will all move into the new space as well as some leased out space which will be avilable on the first floor of the new building.The land was purchased by Bonner General Hospital in June and is at the corner of Cedar and Third Ave in Downtown Sandpoint. Coco Boutique a clothing store that has been on the second floor of the Spokane Valley Mall has opened a new 2nd location at 2933 E. 29th Ave on the South Hill in Spokane. I'm not sure how long ago by the Black Pearl Resturant and Card Room opened not long ago near I-90 and Pines in Spokane Valley.Their address is 2104 N. Pines Rd. Mo' Style Salon is a new hair salon featuring hair styling for all hair type and specializing in ethnic hair and doing relaxers,cornrows and braids.They accept walk-ins and are located 20 E. Indiana Ave in Spokane. Forever Fit is a fitness center moving into Pines Town Center at 1509 N. Pines in Spokane Valley. Community Connections which helps people with disablities has opened an office in Coeur d Alene on the office park access road to Outback Steakhouse,along Ironwood. Skin Deep which is a cosmetic store that had been in the Resort Plaza Shops at the Coeur d Alene resort has moved into their new store in the center court of Silver Lake Mall.They sell many upscale cosmetic brands. Exbablyon Professional IT Solutions is opening in the same strip mall as Jimmy John's facing Hwy. 95 but on Cornerstone Dr. in Hayden. Energy Products of Idaho is a Coeur d Alene based company with their home office located at 3568 Industrial Loop in Coeur d Alene has been purchased by a company called Outotec out of Espoo,Finland but with offices already in the United States.Energy Products of Idaho works in the biomass and difficult combustion industry(waste to energy) and has delivered over 100 renewable energy solutions.I can only find a sale price in Euro's but that figure is 43 million EU and an additional 25 million EU max. based on Energy Products performance in 2012 and 2013.No word on jobs but I can assume no lay-offs but no new jobs eather. Big job news today for Spokane as Providence Health Services,The same group that operates both Sacred Heart Hospital and Holy Family Hospital as well as some clinics and office centers all in Spokane has announced it will move 250 medical billing jobs to Spokane from their headquarters in Renton,Wa. The move is expected to happen within the next 60 days and Providence is now working on finding the office space for the 250 new workers.The billing department will be a hub for all billing done by Providence in the 5 state region on the Northwest that they serve. A new business comes to town with an answer to a reported scam. Over the last month or so people in Coeur d' Alene and the surrounding area have been reporting people coming door to door concerning a company going around asking people to purchase their energy conservation products,Even at one point making Avista issue a statement on the issue and clearing the air that they we're not to blame and that the salespeople had used a claim that if the home owner purchased the conservation product they would qualify for a rebate from Avista something Avista assures in the same press release that only Avista employees can promise such rebates.That all said we now know the door to door sales people are from a new company that just opened in Coeur d Alene called Rocky Mountian Insulation and their new Coeur d' Alene office is at 840 E. Best Ave .They employ 9 and will continue to be out in the Coeur d Alene area going door to door selling Insulation.On a personal level I just hope they work on their sales pitch a bit,ok a lot....But I wish them luck. Spokane based AmericanWest Bank has had a good year near as I can tell as the Bank just finished up it's purchase of Viking Bank which is a bank in the Puget Sound Region,The deal gives AmericanWest 7 new branches and cost AmericanWest about 7.2 million dollars. AmericanWest also recently made a larger bank purchase with Sunrise Bank of Southern California,That deal was worth 18.5 million and they also bought The Bank of the Northwest which is in Bellevue,Wash. for 17 Million . Congratulations are in order for The Kootenai Tribe of Idaho's Kootenai River Inn Casino and Spa and the attached Best Western Plus Hotel which is all managed on the Tribe's behalf by The Hagadone Hospitality Corp. .The Bonner's Ferry casino is celebrating their 25th anniversary this Dec. 2011 .The casino has paid out almost 1 billion dollars since it opened in 1995, Has had around a million guests and is the number 1 private employer for Boundary County,Idaho. The casino also features a restaurant and spa and the entire property is popular among tourists and locals alike from nearby British Columbia and Alberta,Canada. I recommend taking the drive north from Spokane or Coeur d Alene to pay the Kootenai River Inn a visit this December to support them as a local business and employer. Denver,Colo. based Ross Aviation is buying out the big fixed based operators at Spokane International Airport,Those Companies are Spokane Airways and XN Air,Both have provided GEG with essential aircraft services such as fuel,repairs and charter services and in Spokane Airways case freight handling services for companies such as UPS from Spokane International for some time. Over 40 years for Spokane Airways and since 2004 for XN Air. Ross Aviation plans to complete the deal in early 2012 and soon after combine the 2 operators into 1.The terms of the deal have yet to be disclosed. It's finished,Clearwater Paper has completed the sale of their mill in Lewiston to Idaho Forest Group which is a Coeur d' Alene based company.The transaction was for 30 million dollars. Primer Urgent Care which is a branch company off of Northwest Specialty Hospital in Post Falls has been airing a radio ad saying they will open a 2nd urgent care location in early 2012 at 315 W. Dalton Ave. in Coeur d Alene which is the Dalton Professional Building and home to Discount Communtions,a regional Dish Network reseller. I'm not sure when exactly it opened but I noticed a new cell phone acc. kiosk in Spokane Valley Mall's center court called,Cellaris. Popular North Idaho blogger of Get Out North Idaho has started his own business with relylocal.com .The site is a portal site for info on Coeur d' Alene and things to do and business to shop at. Crafty Cravings is a new decor and gift shop located in Post Falls along Seltice Way in the same strip mall as Upscale Mail. Probably the biggest news in Spokane Valley business wise is the new Wal-Mart will be breaking ground soon.The store will take about a year start to finish so look for it to open next fall.The store is to be located at 5025 E. Sprague Ave which is next to Costco.Some may remember the site as it was at one time proposed to be a Sam's Club but Wal-Mart has chosen to scale back it's Sam's Club expansions.This is good news since it will hopfully get some of the crowds down at the exsisting Valley Wal-mart on Broadway near Sullivan Rd. It's offical the site near Frontier Ice Arena along Seltice Way inbetween Coeur d Alene and Post Falls will be a large apartment complex and work is already well underway.The site will be 9 4 -story buildings housing a total of 120 units and a clubhouse with commercial lots out front along Seltice Way.The name is to be Mill River Aparments. Sacred Heart Hospital is expanding it's ER department and moving some things around to accomplish it.They have already broken ground and plan to have the new are open late next year.The expansion includes a new children's ER area and new entry.It's funded in part by a 3 million dollar donation by Mark Rypkin who was a Washington Redskins player and former Super Bowl MVP.The expansion is to be about 4,000 new square feet and will need about 300 construction jobs. I'm not sure how new they are but I noticed cpr4work.com has opened their offices in the office suites above Koener's Furniture along Hwy 95 at Dalton Ave in Coeur d Alene. Big news for the tiny town of State Line,Id. as the bridge over the Spokane River is finally back open with an all new span.It looks very nice and will finally get some of the former traffic flows back thru the small town which is the way to access the Post Falls Cabela's store/Wal-Mart and several other bars and stores. Smokin' Legal Anywhere which is store the sells e-cigs has a new location at 9301 N. Division Ave Suite A which is just north of KFC. Grandma Zula's Kitchen is the name of the new restuant in Post Falls that the owners say offers home cooking and the feel of walking into you Grandma's Kitchen.The site is 306 N Spokane St Suite K and has most recently been The Wooden Shoe Eatery and Milltown Grill. Panda Express is building a new building at 5016 E. Sprague Ave in Spokane Valley their will also be a new small strip mall nearby their new resturant. Sparrow Boutique and Jewelry Bar is a new business open at 915 E. Hawthorne Suite B in North Spokane. For the holiday season a kiosk selling Eastern Washington University gifts and memorabilia will be in River Park Square in Downtown Spokane. If your looking for daycare for a senior citizen a new one has just opened in Hayden,The name is Merry Lane Home and is just 7.50 an hour.The home is located at 1025 Forrest Park Ln. Parkway Auto Center from Deer Park has expanded to Spokane with a new liquation dealership located at 28 E. Montgomery near the interection of Ruby and Montgomery. Spokane Valley Meals on Wheels has expanded their offices and warehouse space to a new site at 12101 E Sprague Ave.
Apperently opening last Summer was Destiny Clothing which is a full men's and women's clothing store near Northtown Mall at 114 E Wellesley Ave.
Local artist Ed Gilmore has opened a new gallery in Downtown Spokane called Studio 66 Art Gallery and it is located at 104 S. Division,near where Sprague and Division meet. MartinelliMick PLLC is a new full service accounting firm that opened in the Rock Pointe Tower at 316 W Boone Ave in Spokane.They do audits,reviews and other tax services. Walgreen's is planning on building a new store directly on Hamilton Ave. near the Gonzaga Campus. Big news from Liberty Lake as Liberty Mutual Insurance is taking over and remodeling for their use roughly 100,000 sq. feet of Greenstone's Meadowwood Tech. Campus along Molter Rd. in Liberty Lake.The site should be in business next year. Communtity Health Assoiation of Spokane is doing a remodel of it's clinic located at 3919 N Maple in Spokane. And last but not least for today,The Post Falls Theather in Post Falls on Seltice Way is as of tommorrow becoming a discount theather with second run movies and an admission cost of just 2 dollars.The change is due to the owner needing to buy a 800,000 dollar digital projector system which he could not afford in today's ecomomy.To start to new discount format all movies on the saturday are free!